Not a big fan of online ordering? Would you rather have the comforting feel of a real, non-virtual catalog? 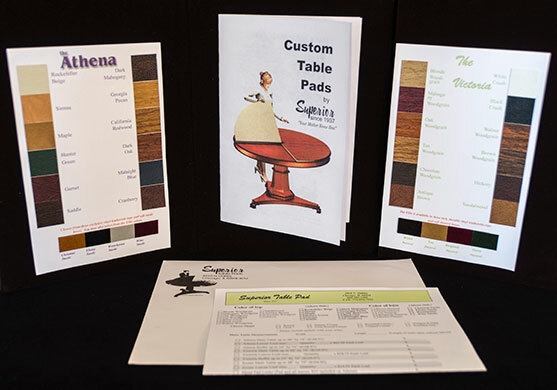 How about a set of color swatches with actual materials you can match to your table? Finally, to clinch the deal, how about a paper order form with a convenient, pre-addressed return envelope? All this is free with our do-it-yourself kit. To get one, just fill in the form below and we´ll send your kit out right away.